At Bullworthy’s we are committed to offering our customers a premium level of product from the biggest equipment manufacturers, at the most competitive prices possible. Combine this with an aftercare service second to none and you have a winning combination guaranteed to provide extraordinary value to any workshop owner. 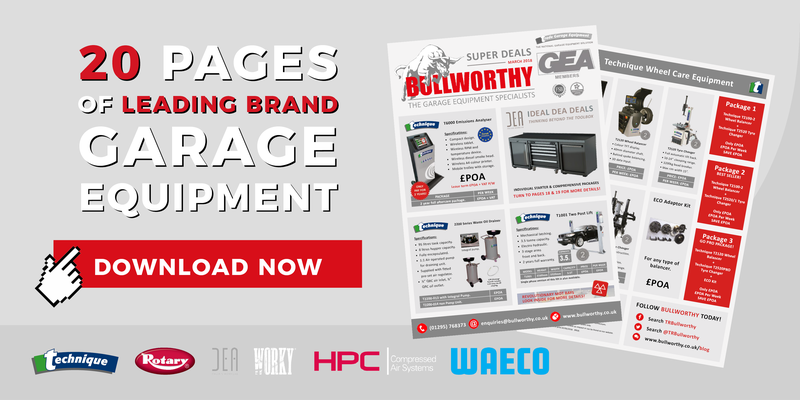 To ensure customers are aware of the quality of the product we supply and our latest offers, we have created a new edition of our renowned Super Deals brochure. 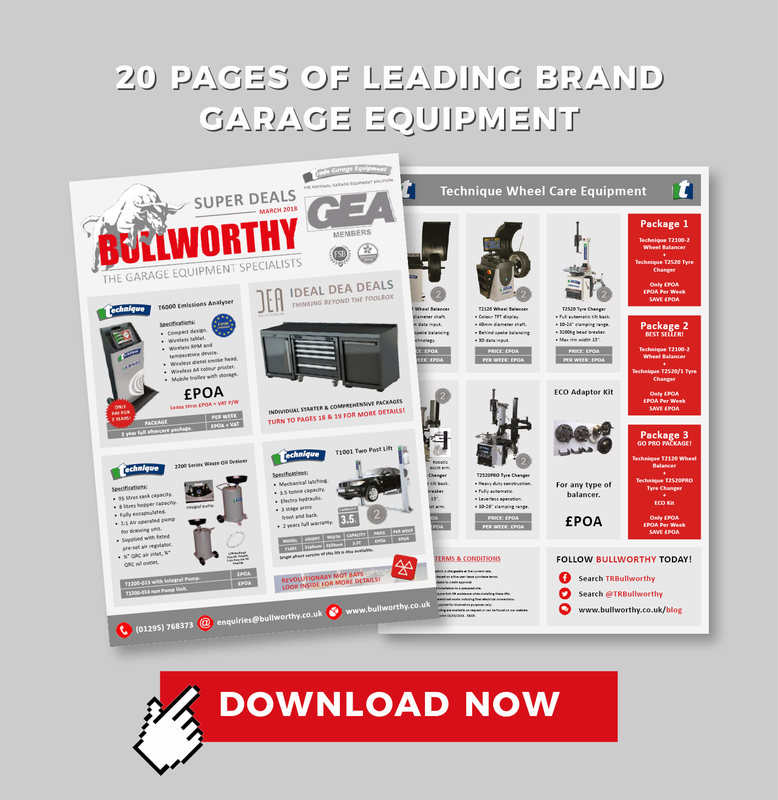 This latest version features 20 pages of leading brand garage equipment from some of the market leaders in the garage equipment trade. Ranging from vehicle lifts to wheel care equipment, from exhaust extraction to workshop cabinetry. Regardless of your requirements, we are sure to have a deal to interest you! More than just an equipment supplier. Keeping in ‘touch’ with the trends. Kicking 2019 off in style!